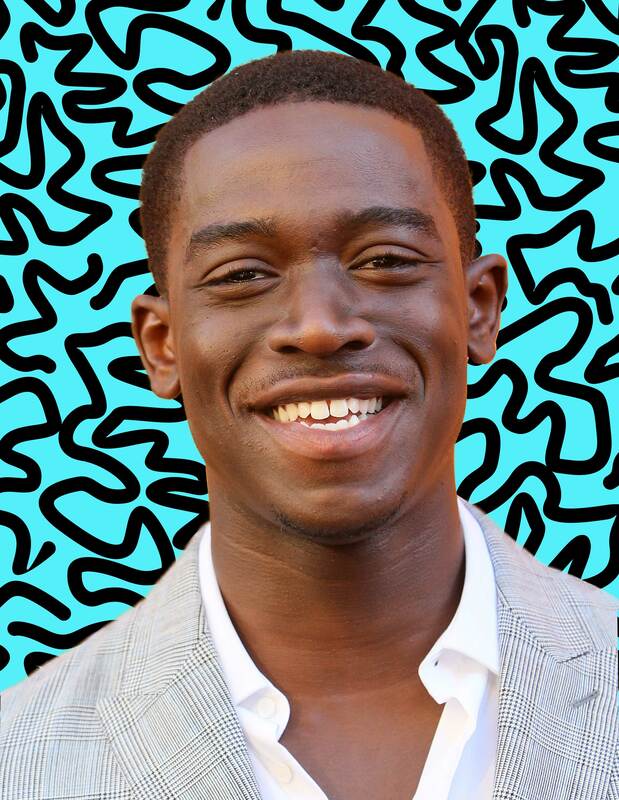 When FX’s Snowfall premiered last week, co-creator John Singleton gave us a new show to add to our must-watch list and a new leading man named Damson Idris. The 25-year-old newcomer plays Franklin Saint, a teenage weed dealer eyeing the potential of crack cocaine as it begins hitting South Central L.A. in 1980s. In the ten episode series, Idris and his streetwise character match up in swagger and ambition but that’s where their similarities end. 1. He’s from South London, not South Central. 2. He never wanted to be an actor. 3. Although he nailed several auditions, Idris still had to win over Snowfall co-creator John Singleton. Finally with Singleton, he made sure to put his best foot forward. 4. Snowfall was clearly meant for him. 6. He’s in a WhatsApp group with Get Out’s Daniel Kaluuya and other young Black Brits breaking into Hollywood. “We’re bringing the army! Malachi Kirby and I, we have the same agent, but we trained together. We’re from the same kind of background. He’s a leader to all of us. He’s been rapping in London for so long. Ashley Thomas because he’s too good at acting to just be called Bashy. But yeah, that’s his … he’s got amazing, amazing songs. He’s a great musician also. You’re gonna know about Tosin Cole. he a handsome, handsome lad. Nigerian boy, close friend of mine. He’s actually in Burning Sands. There’s loads of double threats, triple threats. I’m a single threat. Gotta be a strong threat.